Index Furniture is a Thai Brand that has been in operation for over 30 years. 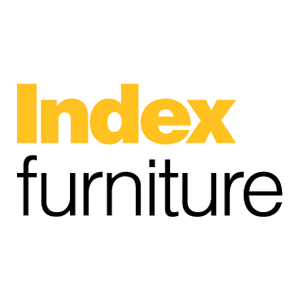 Index Furniture delivers a wide range of high quality furniture and home accessory items for all forms of modern life. This brand has reached global and national acceptance of the Furniture Group Index, and has received the Superbrands “WINNER” Thailand Brand Award in 2005, the Outstanding Exporter Award in 2006, and the Prime Minister’s Export Award for Outstanding Export in 1998, 2002, 2005, 2008 & 2011. This is in recognition of a solid guarantee of outstanding product quality, and continuous efforts to present design and functionality of furniture in new forms. The brand is a world leader in world-class designs. We obtained sole distribution rights for Pakistan, and introduced our founding showroom in Karachi, 2006. Over the course of a decade, we’ve expanded our presence nationwide into Islamabad (2014), Rawalpindi (2015) and Lahore (2016). With a commitment to delivering high quality furniture and home accessories, we offer an excellent array of products that satisfy customers at all levels.